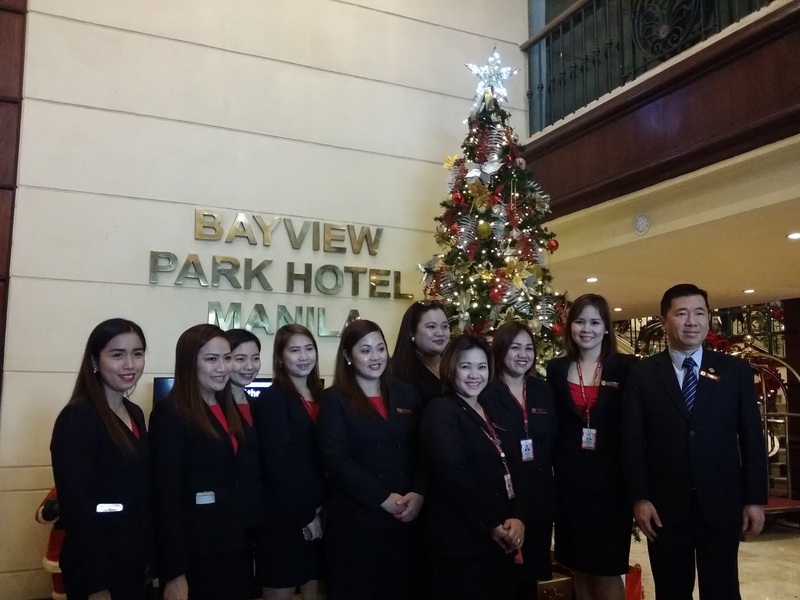 Bayview Park Hotel Manila, one of the country's oldest and most distinguished hotels, recently held its Christmas Tree Lighting event on the first day of December. And with it, came a load of Christmas promos that can be enjoyed by the whole family. Mr. Eugene Yap, VP and General Manager of Bayview Hotel Development Corporation, welcomed guests and media people during the event. 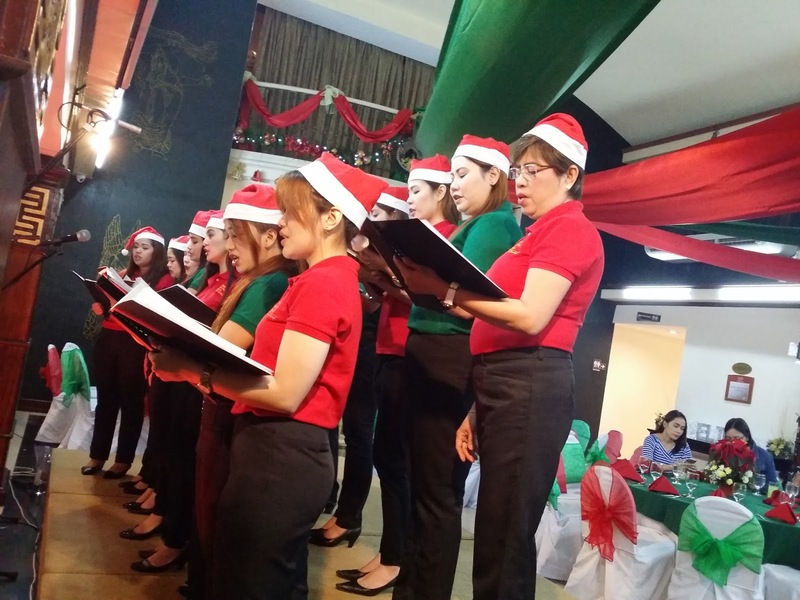 He said that it was the first time that the hotel had its Christmas tree lighting ceremony and also the first time that Bayview formed an all-girl chorale from its roster of employees. 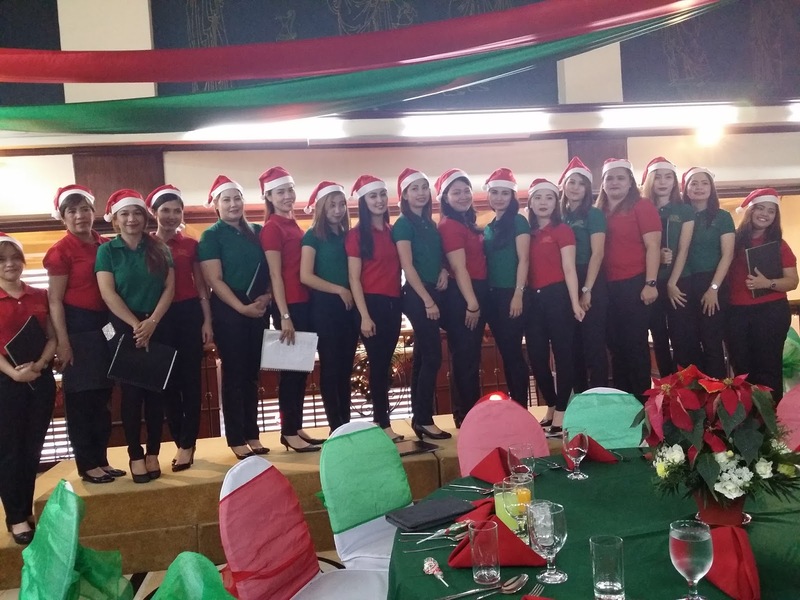 The Bayview All-Girl Chorale serenaded hotel guests with beautiful Christmas songs, while they were dining. 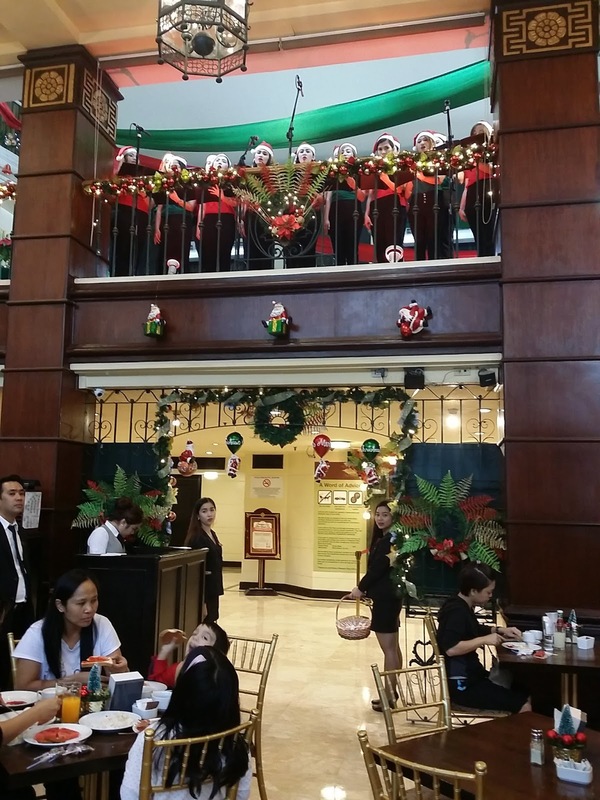 The chorale members wore Santa Claus caps and the colors of Christmas as they sang like angels at the mezzanine overlooking the hotel's coffee shop. While their songs wafted in the air, the classic ambience of the 75-year old hotel became even more pronounced. The warmth and hospitality of the staff exuded the spirit of Christmas. The holiday decors were simple and elegant, not too much as to overshadow the architecture of the boutique hotel. 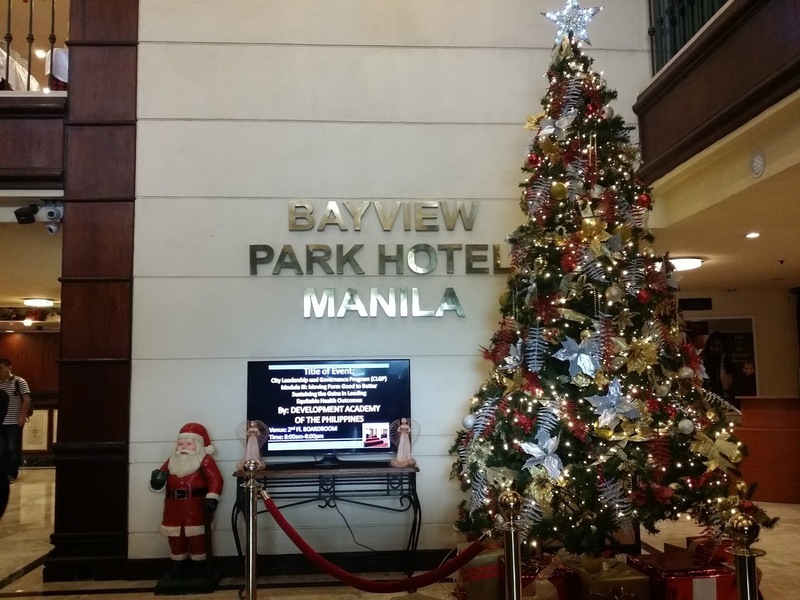 Christmas can be seen and felt at the Bayview Park Hotel the moment you walk into its lobby. More than that, the Holiday Season promos being offered by the hotel for this year are also too good to pass up. 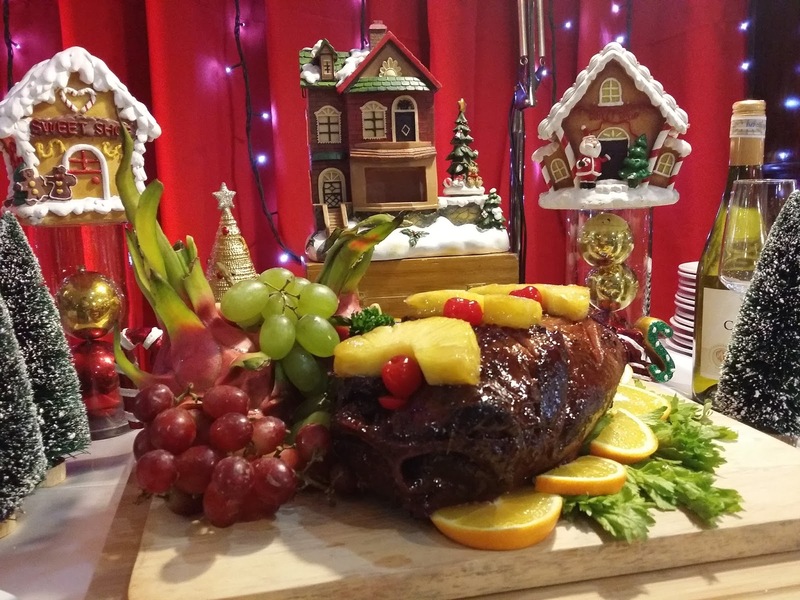 If you wish to treat your family to a sumptuous buffet dinner on Christmas Eve or New Year's Eve, Bayview offers it at a low ₱980 net per person. And that includes a free-flowing selection of Cocktail Drinks! All party packages include buffet dinner, bottomless Iced Tea or Fruit Punch, Videoke System or Mobile Disco Service (depending on package price), free beer or wine (amount depends on package price), and use of function room. Higher-priced party packages come with choice of photo booth or lechon, complimentary overnight stay in a Superior Room with Buffet Breakfast for two, and other inclusions. 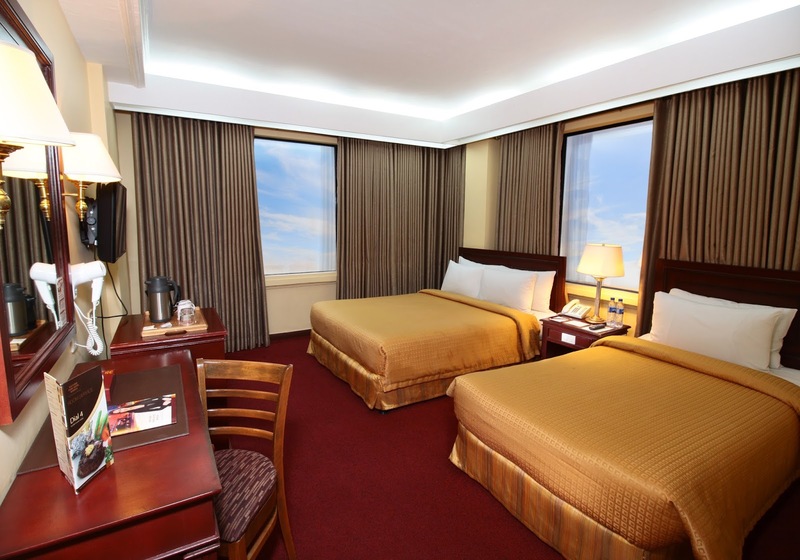 Bayview Park Hotel Manila has a total of 282 rooms and 15 function rooms to choose from. That may seem a lot, but during the Holiday season, the hotel is packed with guests and functions or events, so it would be best to reserve early. For inquiries and reservations, call 02-526-1555 local 1730/1757/1716 or Direct Line at (02) 524-1943 or email at banquet@bayviewparkhotel.com bookings@bayviewparkhotel.com. The hotel sits on a prime location in Manila, so you and your visitors wouldn't have any problem in terms of accessibility. Located along Roxas Boulevard and fronting the US Embassy, Bayview Park Hotel is only 20 minutes from NAIA Terminal 1, 2, and 3 and is also near PICC, CCP and World Trade Center. Major attractions and tourist spots are also nearby, including Rizal Park, Intramuros, Fort Santiago, Manila Ocean Park, Star City, and the National Museum. 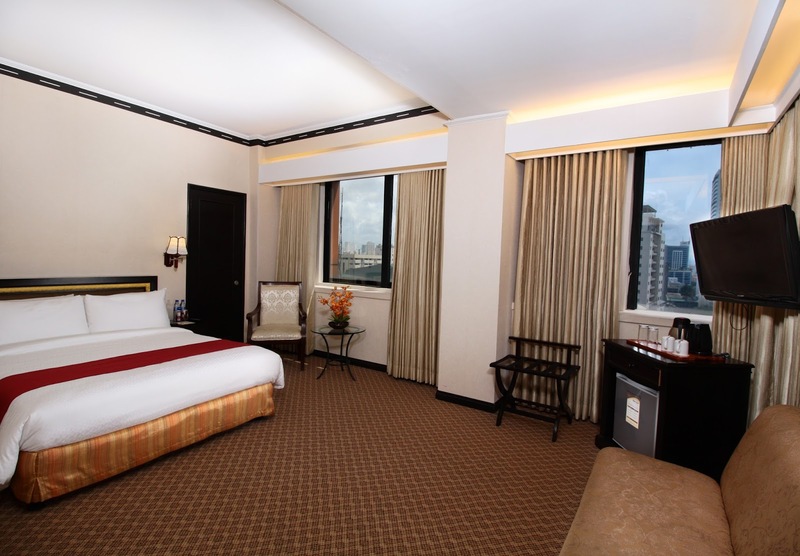 For further details about Bayview Park Hotel, click HERE.